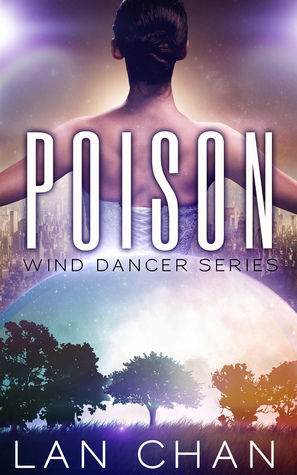 Poison by Lan Chan starts off the same way every other dystopian book does: one unassuming girl suffering under an oppressive, corrupt government decides she’s had enough after finding the truth. But, as we delve deeper into the story, it becomes much more than just another dystopian. I was very surprised by this book to be completely honesty. I didn’t think I was going to like it, hell, I wasn’t even sure I was actually going to finish it. I love dystopian books, but I am so sick and tired of reading the same story over and over again that I almost gave up. I’m glad I didn’t, I am so happy that I actually forced myself to overcome the clichés and actually enjoy the book. This book takes place in post-apocalyptic Australia, which is awesome – by the way. We have this society where the world is basically ruled by these people called Seeders. Seeders provide grain and food for the various villages, but their favor can turn at the flip of a coin. Rory, or Aurora – our protagonist, witnesses someone in her village get caught hoarding seeds and food – a crime punishable by death. This is when the story picks up, when Rory realizes the scope of the corruption in her world, and it is beautiful. Like I said, I am sick and tired of reading the same old stories about the same old types of governments – but Poison brings a fresh twist on things. It was refreshing in the scope that I couldn’t really tell what was going to happen next. I don’t know what it was, if it was the characters or the writing style, but everything about this screamed originality despite the generic premise. The world of Poison is complex. It completely avoids one of the things I hate most- almost more than I hate insta-love: info dumping. The world building is slow and artfully done. You are slowly led into this world of the Seeders despite being thrust straight into the action. The details are subtle, and that is part of what makes this such a fun read. I love the subtle details, I love only picking up on certain things if you pay enough attention. I love the feeling of finally figuring out how all of the details connect together into one interlocked web. Rory is consumed with hatred for the Seeders – and with good reason. The Seeders killed her mother. Rory takes every chance she can get to defy the Seeders in such a way that will bring the Seeders trouble but won’t reflect back on her or the village. I respect that about her – among a bunch of other things. She is strong, stubborn, and vengeful – but she doesn’t let it get in the way of more important things or let it hurt the people she cares about. To me, that shows an amazing type of strength. It is a certain type of person that can sacrifice their own beliefs in order to protect those around them – and that is the kind of person Rory is. Actually, sacrifice is too strong a word. Sacrifice implies disregarding those beliefs or giving them up, and that is something never does. She is steadfast. My one problem with her was also the thing I loved the most: her stubbornness. I hate it when a character is too strong willed to accept help. I hate it when they think they’re invincible or that they can do things entirely on their own. It simply isn’t true. In my opinion, it takes a lot away from their character. It also makes me lose a little bit of respect for them. It wasn’t a huge problem in this book, but it could have saved her a lot of trouble if she just learned when to ask for help. Poison is a wild roller-coaster of a book. There were times when I was reading that I would get so sucked into the story that it was all I could do to make myself do normal, everyday and school related things. Poison sucked me in. It was pure chaos and I loved every second of it. Overall, this is a rock solid debut and I can’t wait to see what comes from the rest of the series. On a small side note, I absolutely love this cover. It’s so gorgeous!